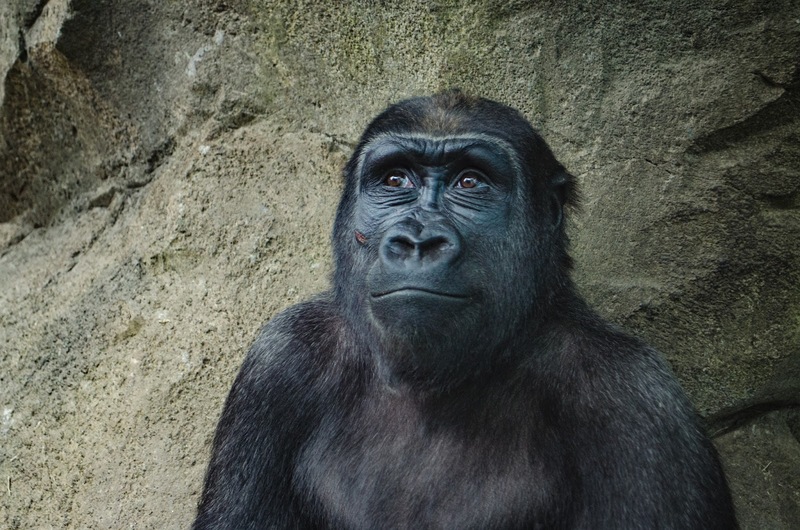 It's everywhere—all over the news and social media—Harambe, a silverback gorilla at the Cincinnati Zoo, was killed in order to save the life of a child who had managed to get into his habitat. I have watched the videos and read a few articles, and while it is so very sad that a beautiful and endangered animal had to lose its life, it is clear to me that it was absolutely necessary. Do you know why the story is blowing up? It's because the people of the internet are outraged. They are outraged that an animal was killed, which is understandable. They are outraged that this child was able to get into the gorilla habitat, which is also understandable. And they are outraged that the mother of the child would allow such a thing. What mother in her right mind would actually allow her 3-year-old child (maybe he was 4) to climb into the enclosure of a wild animal who is unpredictable and stronger than 10 human men? And that's just it. There are comments on the internet that claim this poor mother wasn't in her right mind and thought it would be a great idea for him to do that. There are other comments that say that she even encouraged him to climb in, hoping that the gorilla would kill him. Still others that say the mother and/or the child should have been shot in the stead of the gorilla. There are other, tamer, comments that say she was a just plain terrible mother, the child should have been on a leash, she clearly wasn't watching him, and that she should be investigated by child protective services immediately. In fact, there is actually a petition going around that has tens of thousands of signatures on it asking for such an investigation into this mother's poor parenting. Good mothers are perfectly attentive and never lose track of their children. At first, I thought the same. I judged this woman a little bit for losing track of her child in a public place. I judged her for not noticing that her child had climbed into a gorilla habitat. And I may have even blamed her for the death of Harambe. Yes, I have lost my kids in public places. And I know that many, many of my friends—friends I consider to be excellent and attentive mothers—have also lost their children. In my case, I have always found them pretty quickly. Thankfully no harm has come to them in the few minutes they were out of my supervision, but I was always scared and frantic while looking for them. Kids are fast and they are small! In public places where there are many people, it is easy for them to disappear in the blink of an eye. Good mothers are attentive. 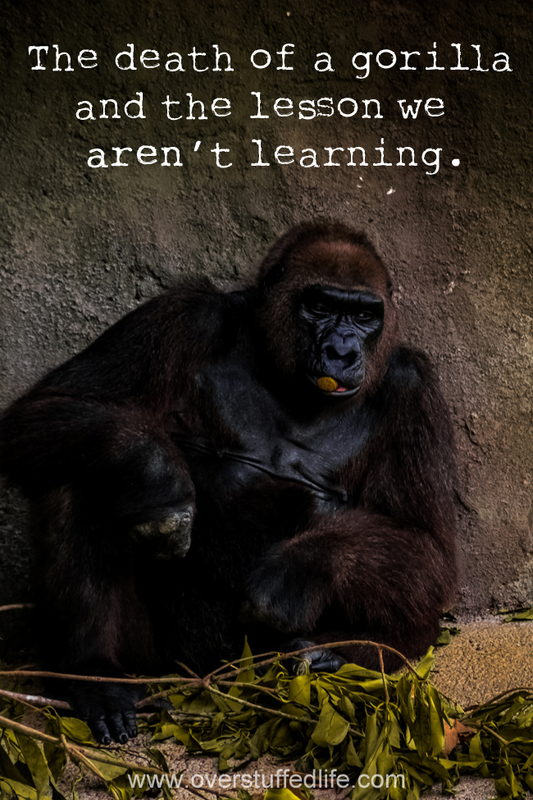 But that is not the lesson we should be learning from the death of this gorilla. Good mothers are attentive, but they are also human. I am human. You are human. The mother of the child who escaped at the zoo is human. I don't actually think it is possible for a human mother to have her eyes on her child at all times, do you? A mother whose child has escaped her watch does not deserve to be piled on in this manner. She does not deserve to be judged, criticized, or threatened. Believe me, she is beating herself up plenty for losing track of him! What she needs is kindness and compassion extended to her. And that is the lesson that I think we aren't learning, but should. This is a quote from the book Wonder by RJ Palacio. It's a quote that has stuck with me since I read it. Many of the internet commenters may be right. They are right that the mom should have watched her son more closely. And they are right that it is very sad that at animal had to lose its life. But if that "rightness" equals unkindness and hateful words? Stop. Don't write that comment. Choose kind. And if you can't be kind, if you can't somehow extend mercy and compassion, the kindest thing you can do is to say nothing at all. Isn't that what your mother taught you, after all? The human mother that probably lost track of you once or twice while shopping or at a public event? Bottom line: this could have happened to anyone. I am just lucky that when my children have escaped out from under my watch that they didn't fall into a gorilla habitat.